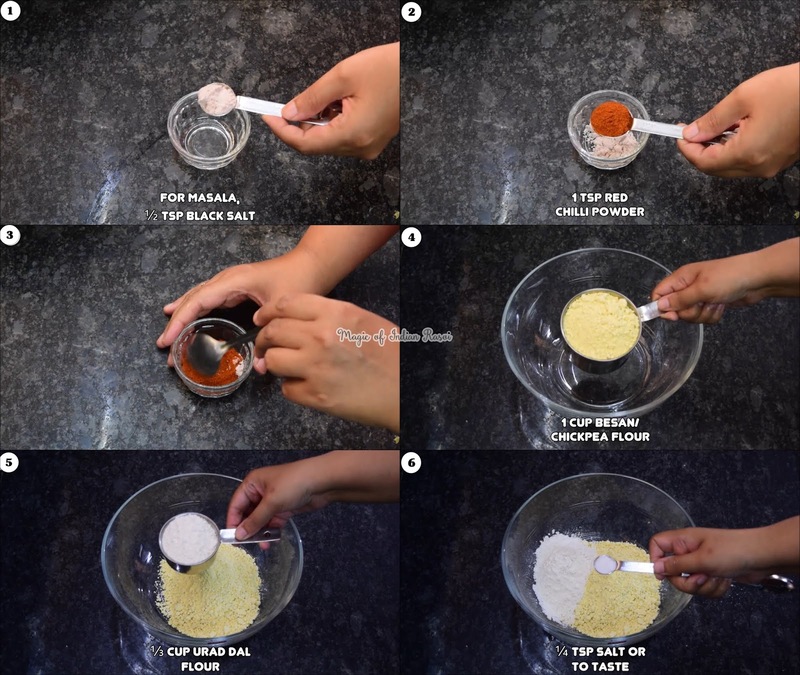 Chorafali - a famous Gujarati Snack which is made specially for the occasion of Diwali. Chorafali is gluten free and is made of besan and urad dal flour. The texture, taste and the method preparation is very similar to that of papad. It is served with a special chutney and is sprinkled with generous amount of special spicy masala which makes it even more irresistible. It is very easy to make and a must try during the festival season! 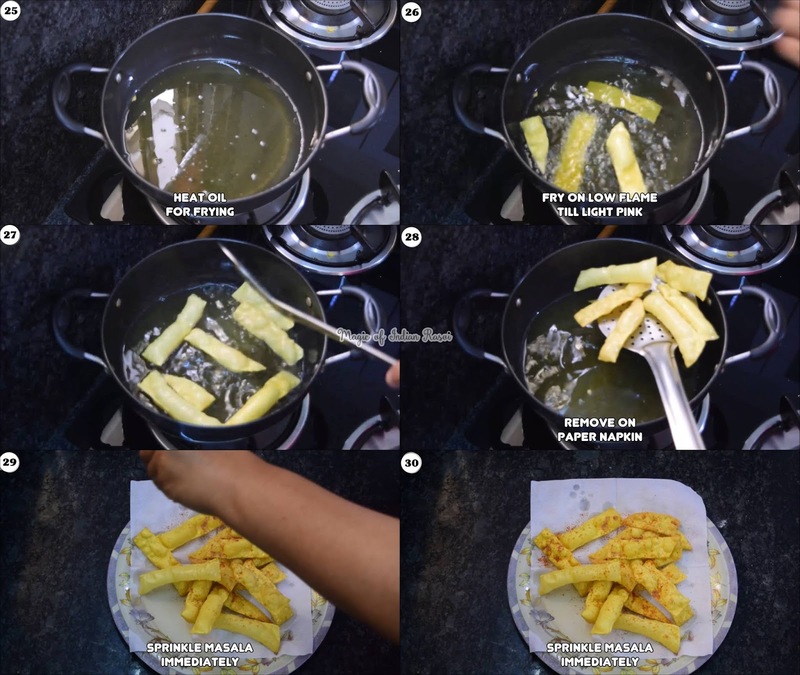 Chorafali can be stored in airtight container for upto 7 days after frying. Mix black salt & red chilli powder. Masala is ready. 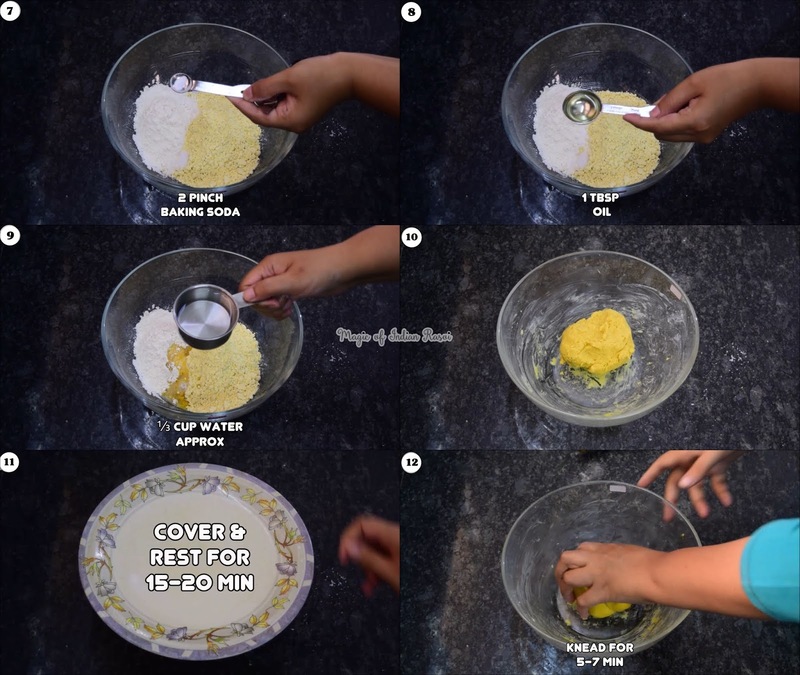 In a bowl mix besan, urad dal flour, salt, baking soda and oil. Drizzle some oil over the dough and make it smooth. Cover and allow it to rest for 15-20 min. After 20 min, pound with rolling pin or pestle for 5-7 min till it becomes pliable and color turns little lighter. 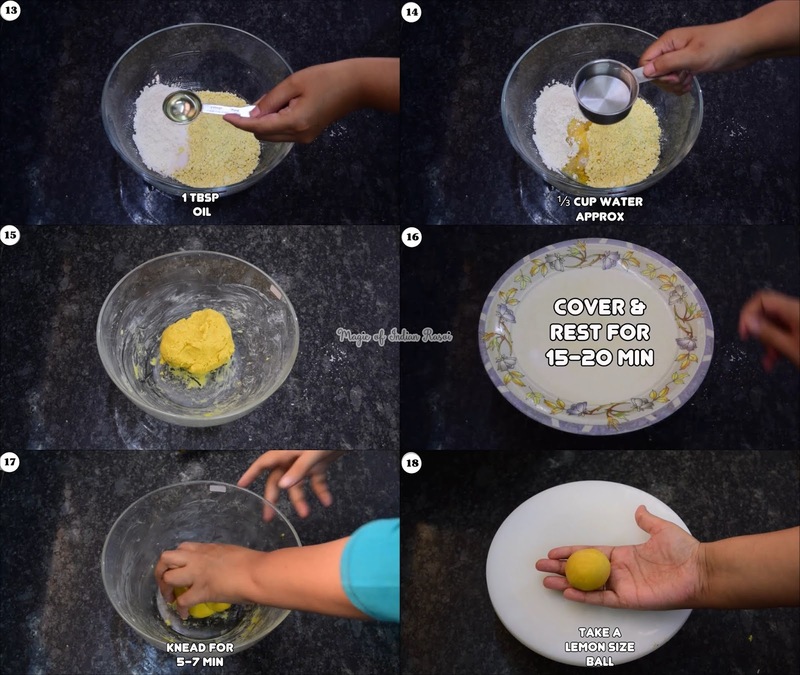 You can alternative knead it with your hands. 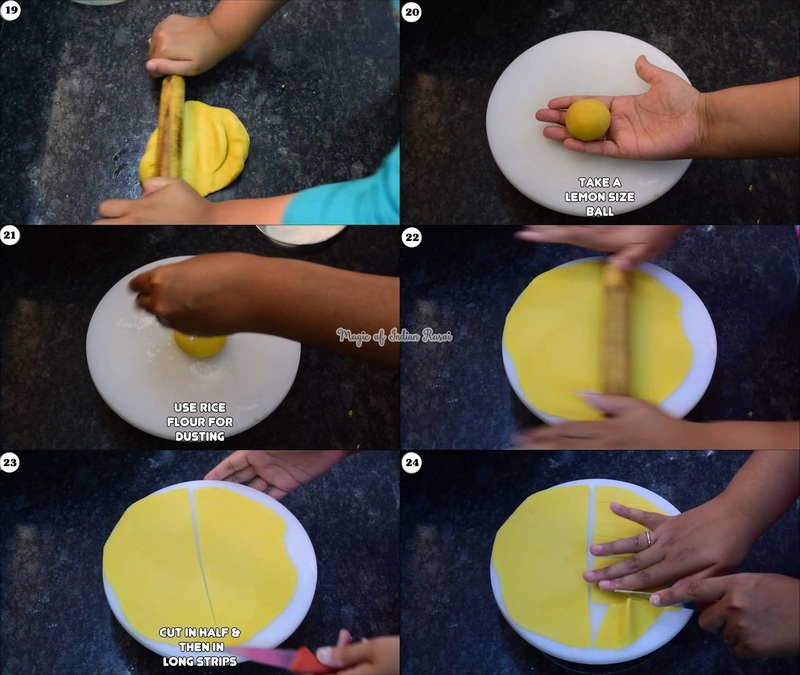 Take a lemon size ball and using rice flour roll it thinner than chapati. Cut it horizontally from centre and then cut long strips. Heat oil for frying and then lower the flame. Fry chorafali light light pink in color. It takes about 1-2 min only. Sprinkle generous amount of prepared masala immediately. Serve with green chutney or as it is. Store in airtight container for upto 7 days.